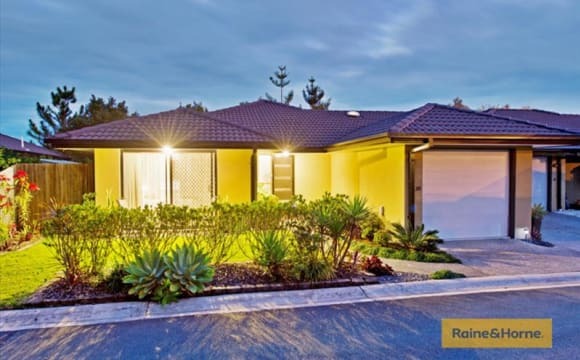 Set in a lovely quiet suburban street on the edge of the national park in pacific pines yet very close to helensvale / griffith, this house is a nature lovers paradise. 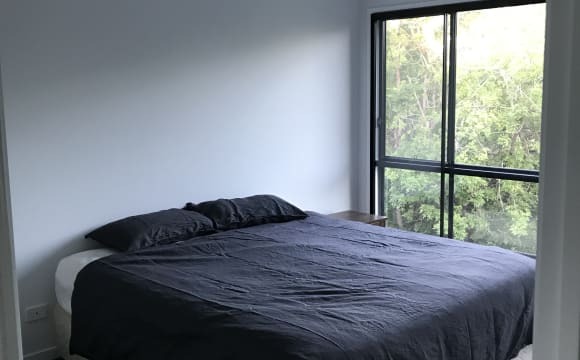 Particularly good for anyone working at the Gold Coast University Hospital (16 min by car), or studying at Griffith University as those are large sites nearby with transport, travel to Brisbane in 40 minutes, Main Beach in 20 minutes. 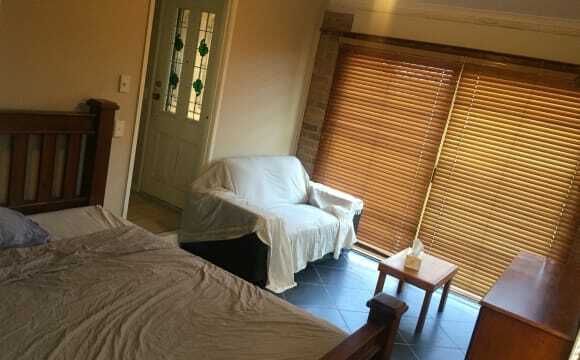 Balcony with picturesque views over the mountains, free unlimited wifi, make yourself 1 free coffee a day with the barista machine and all bills inc electricity and wifi included, your own large fridge / freezer space, free washing machine and dryer facilities included in your very reasonable $180 per week! Unlimited hot water in the shower. It's a nice big peaceful house on a hill. Seeking someone reasonably neat, tidy, respectful of others sharing the areas though it's a very big house so you'll rarely bump into anyone. Usually only 2 other people in the house. Hi I have a room available for rent in my 3 bedroom townhouse. You will have your own bathroom, and room also has a good sized balcony on it with built in wardrobe. The house is furnished so do not need to bring anything but yourself and clothes! The complex has a pool and a gym room (very basic). It is a very quite complex, no parties or any loud noises after 9pm. The complex is about 2 minutes away from coles and wollies and a few dinner places. Close to tram about 7min drive as well as close to the theme parks. New, warm, clean and tidy home. Quiet safe neighbourhood. Air con in lounge, pay tv and unlimited wifi All included in rent along with bills. We rent a beautiful 4 bedroom plus study open plan, spacious house set on a very large block with lovely views. The house is fully tiled, cool in summer and warm in winter. The air con works a treat in the house for summer. I have a netflix account that you may share, 2 living rooms, ceiling fans in all rooms and 2 outdoor spaces to sit and enjoy outside. There is a bus stop at the end of our street that goes directly to Helensvale Station or Griffith University &amp; light rail. I work in Surfers and my daughter goes to school at Ashmore, so there could be times that I could drop you off. The property is only 7 years old and is situated within a safe, quiet and secure gated community. The property is a fully furnished 3 bedroom townhouse close to shops, cafes, restaurants and public transport. Included in the complex is a gym, swimming pool and BBQ area which you will have full access to. Our home is a new modern house in quiet surrounding. 7 km to Griffith University. Close to us we have all the major theme parks. The home is comfortable and clean with a beautiful garden in the back. We live in a modern home in a beautiful part of the Gold Coast. 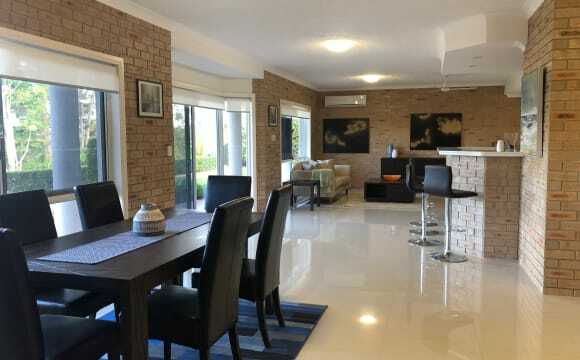 Close to all amenities and near a nature reserve..... lots of wildlife 20 mins to closest beach and close to M1..... 2 new shopping centres as well. Beautiful gated complex with an awesome BBQ/Pool area and your own private back yard with another outdoor entertaining area with yet another BBQ! 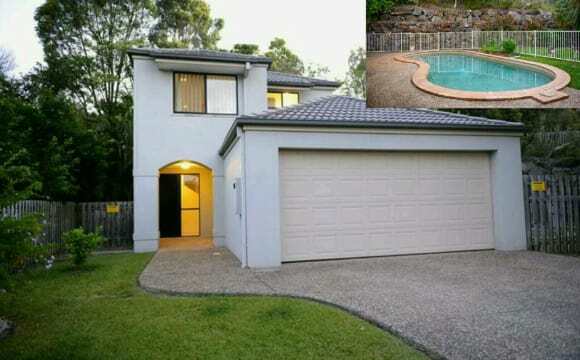 Only 5 min drive to Helensvale Westfield shopping centre and 2 min drive to the motorway so close to everything you need. Downstairs is living room, dining room and kitchen area and upstairs is 3 generous sized bedrooms. 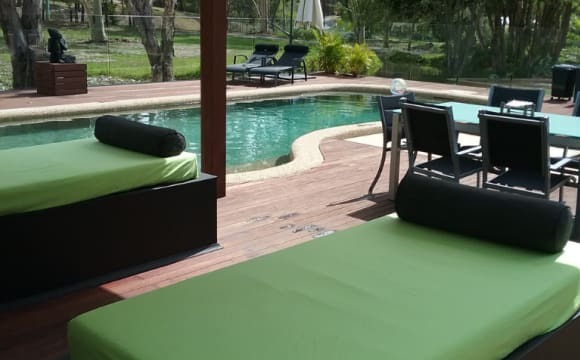 Our home is a very quiet place one where you will be able to relax and enjoy the tranquil surroundings. The home has a pool and outdoor entertainment areas, Netflix and Stan, unlimited WiFi internet, ducted air conditioning, car space in the garage. Non-smokers only, will consider small dog. 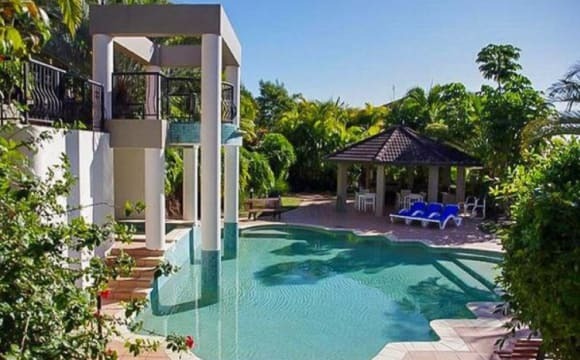 It's a minutes walk to shops and restaurants, swimming pool to cool off after work or weekends. Quiet area and bus stop right outside door if needed. Located in the very popular Villa Samos complex is this impeccably presented townhouse. Situated in a prime position at the back of the complex and is very quiet. 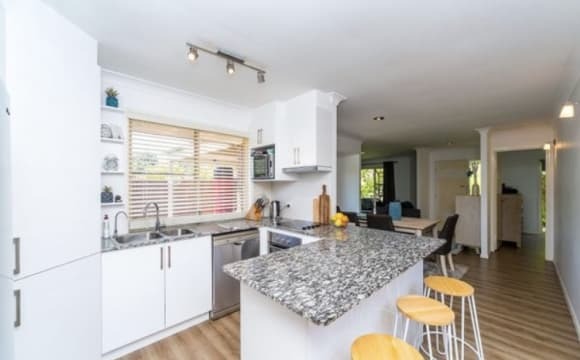 Features -1x bedroom with BIR (furnished double bed desk) -shared full bathroom separate toilet - Large open plan living with kitchen overlooking dining area. 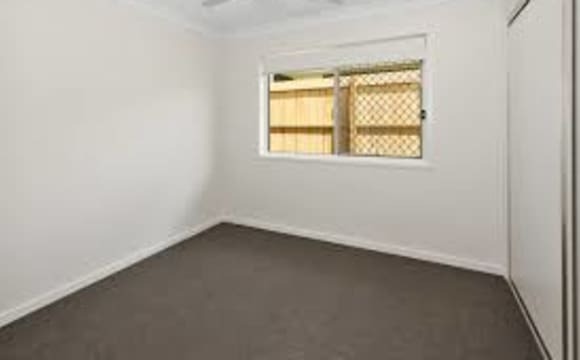 - Full size kitchen with dishwasher - Air-conditioned room- yes the bedroom has aircon. 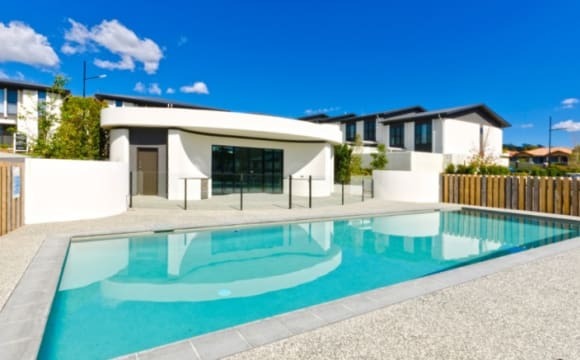 - Undercover outdoor area overlooks fully landscaped fenced yard - Secure gated complex with on-site management - in ground pool in complex Close to supermarkets, Westfield Helensvale, Helensvale station and the new light rail. I have a room available for rent, looking for a student preferably. You will be sharing a bathroom with another person but will have your own room with a single bed and a desk too. You have access to the kitchen and laundry. Access to a kitchen, laundry and bathroom. There is a bus stop behind the house to take you to a shopping centre, a train station and to beaches. Carpark space available on the premises. There is a Woolworths, McDonald's etc 5 mins away. I am close to Griffith Uni. I am relaxed, quiet people. Looking for a student or professional to move in, and I'm obviously happy for you to change the decor in the room. PS. Room is a lot bigger than it looks in pictures! Also feel free to email me. The property is brand NEW and never been lived in, the address is in the New Arundel Springs Estate. It has air conditioning and full unlimited broadband Internet. It is right near the new light rail link (10 min walk) one stop away Gold Coast Hospital and Griffith University. 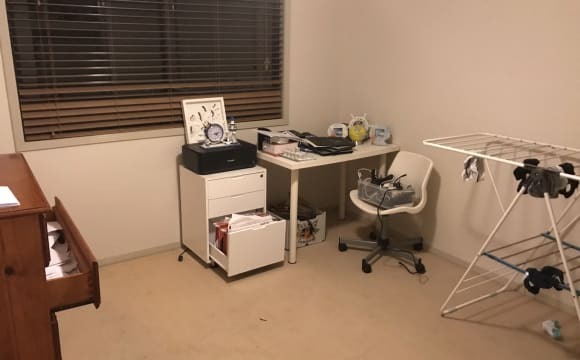 This is a 1 year old fully furnished home with huge space, NBN internet, ducted air con, walking distance to the train station, tram station, Nightquarter and Westfield shopping centre. Owner occupier with a busy lifestyle. Shared house with 2 other males, a physiotherapist and a department store manager so we're all busy and don't get in each others way. 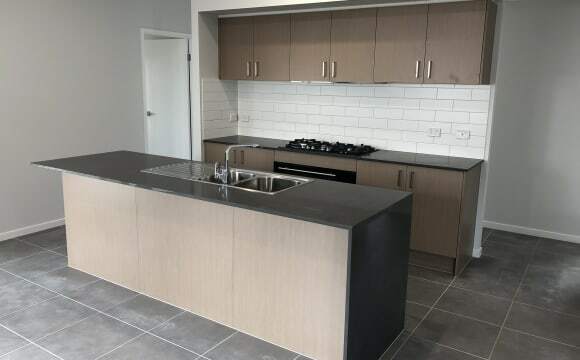 This home ideal for someone who wants to walk within 1 minute to the convivence of the light rail at the Parkwood station,Ideal if you are a student / hospital worker. My home is in a gated complex of only 10 homes. Very private courtyard at the rear which is covered and used all rear round. We are adults here who love to be social but we also respect each others space. I would love to hear from you as the room is ready immediately. Please get in touch with me via this site asap if you are interested. Just of the m1 motorway and behind wet n wild. The location itself Is 2kms away from Westfield and helenvsale station . And about 8kms from the uni and hospital. The local shops, parklands and bus stop is a five minute walk. The house has a big kitchen, air con and few different entertaining areas. From the backyard it has bit of a view of movie world so there are a few fire work shows on occasions. The main room has an inbuilt wardrobe,ceiling fan and own access. Included are internet and water bill. Single mum have little ones half the time. 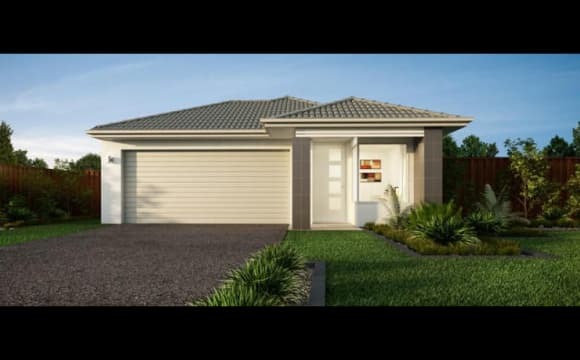 Extremely close to highway, petrol station, shopping centre, &amp; parks. Good security, great backyard. Hi, Our address is Maudsland, but we are apart of Pacific Pines. We have a beautiful deck that overlooks the Hinterland and Surfers Paradise. The bedrooms are king size with their own ensuite which can come furnished or unfurnished as needed. We have a spacious kitchen which can comfortably accommodate multiple cooks with two fridges and plenty of cupboard space. The property is gated which provides privacy and security. The room is fully furnished. Females only. No partying, no boyfriend and no night shift workers please! 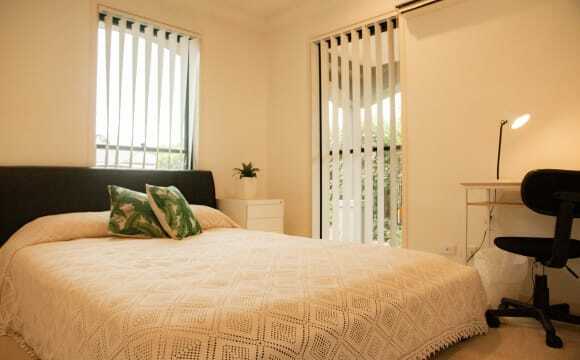 Easy access to public transport and shopping centres/gym and to Brisbane/pacific high way. 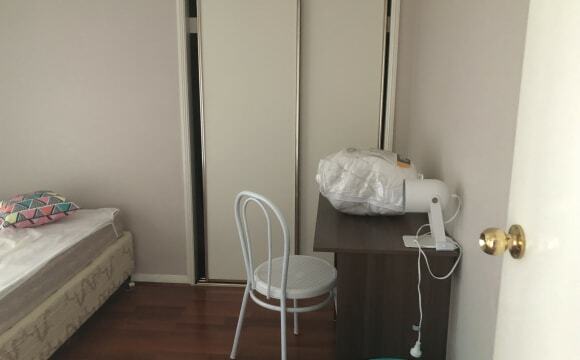 Quite close to Westfield shopping center and school. Quiet suburbs in nice and safe neighbourhood. The property is close to Westfield, local bus stops 5 minute walk and the tram is only a 15 minute walk away! The room has air conditioning and is at the very front of the house so easy to get in and out! There is also a gym, sauna, pool and BBQ area available for use! We are the end block so only have one neighbour next door. We are backed onto a nature reserve and we see plenty of amazing animals including Kangaroos!